This family resource will help parents teach the standards of the Church to children BEFORE they are teenagers. It features one lesson devoted to each of the standards found in the For the Strength of Youth booklet, such as “Honesty,” “Dress and Appearance,” “Gratitude,” “Entertainment and Media,” and “Sabbath Day Observance.” It also includes stories, activities, object lessons, games, and refreshment ideas to make learning the standards engaging and fun. Before They Turn Twelve is ideal for Monday night lessons, Sunday time discussions, and preparing for Primary talks. Great for families with children ages 5 to 12. I am a counselor in the Young Women's organization and I absolutely love this book. My own children are only 5 and 6, but I have seen how important it is to teach the church standards at a young age. I can tell which girls I teach were being taught at home at a young age. When I found this book I bought it immediately and use it often. This is a great resource for families with children ages 5-12. This is a great resource for families with children ages 5-12. Even my older teenager children enjoy the lessons. Each lesson has the children refer to a "For Strength of Youth" booklet and read portions of this book. They are encouraged to mark and write in their booklet their commitments. What a great way to introduce to our young children the pamphlet which should be their guide as teenagers. This book helps simplify family home evenings and can be used by its self our as a jumping place to expand from. 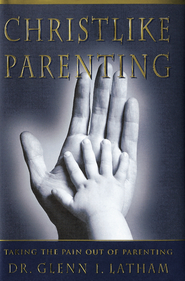 I would recommend this book to all families especially families with young children. We have a son that just turned 12 and another that will be turning 8 soon. I found this FHE help a wonderful guide for parents. It covers some of the more difficult topics in a sensitive and fun way. Our children especially love the fun treats. Love the ideas for helping young children learn and understand gospel standards. The activities, stories and treats help reinforce the message of the lessons. Wonderful family home evening resource! Creative lessons for Family Night and very adaptable for older children. I bought this book a few weeks ago. I have 3 children ages 10, 11, 15. My 15 year old daughter is a good sport with these lessons. They are made for younger children. I easily changed and added a few things to make it fit better for my childrens ages. The lessons are fun, well organized, fast paced, and get to the point. I like that it uses the For Strength Of Youth Book the kids are given in Young Womens and Young Mens. I think this is a reason why my 15 year old daughter puts up with the lessons. She knows and respects this book. (I focus on this book more than the lesson does.) We have had some great family discussions after the lessons. My 11 year old son and 10 year old daughter say the lesson activities are fun. My oldest participates and doesn't complain. I take that as a good sign. My husband and I like this book and think it's a creative way to do Family Night. This book is amazing! I am so thankful for talented people who can come up with such awesome, attention-keeping, fun, powerful lessons like these! My kids, ages 9, 7 and 3 get so excited when they know the FHE lesson is coming from this book. I highly recommend this to anyone with young kids to help teach them basic standards. I also think it would be great for kids who are OLDER than 12, as well. This book is amazing! My favorite F.H.E book out on the market! I can't tell you how excited I am to have finally found a F.H.E book where there isn't a lot of prep work involved. Every lesson is full of high impact, easy to prepare lessons that are very interactive and fun. My children are ages 6,11,and 17 and I found that they all loved the lessons and it is something they talk about long after our F.H.E. is over. I have been telling everyone about this exciting new book. It's that good!